the information in Dr. Tom McGuire’s book, Healthy Teeth Healthy Body, gives you the best knockout punch to fight oral care issues. As always, I am on the hunt for natural products, and I’m excited to see a natural alternative to toothpaste. OraMD uses natural ingredients, no fluoride or harmful chemicals, no GMOs, etc. 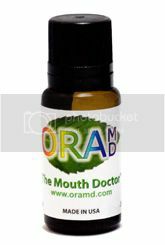 I love that OraMD is natural and can be used as a toothpaste, mouthwash, and a breath freshener. I am a big fan of both natural products and products that have multiple uses! At first I went a bit overboard and used the higher end of the recommended usage and used 5 drops on my toothbrush. I was surprised how strong it was! Now I only use 2 drops on my toothbrush for brushing my teeth, and that is the perfect amount for me! It does take some getting used to as it is a little “stout” the first few uses as mentioned, but wow, what a clean feeling! My mouth feels clean all day! I use it as a toothpaste and mouthwash as recommended. I haven’t really found the need to use it as a breath freshener because my mouth still felt “clean.” Overall, I was very impressed with the ingredients, the quality, and how clean and fresh my mouth felt. Not only are there no harmful ingredients, but it’s a lot less messy as well! I think OraMD is a wonderful natural alternative. Visit the OraMD Website, and “Like” them on Facebook! For a limited time, everyone reading this review is eligible for a 20% discount on their first OraMD order. To use the discount just go to www.oramd.org to select your order and simply enter the discount code THP20 when checking out. 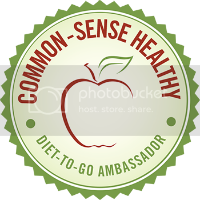 Thank-you to our amazing co-hosts: Giveaway Gator , Couponing with Integrity, Mommy Lesson Plans, and Meg’s Daily Bytes, Reviews and other Online Distractions and all of the awesome participating bloggers! About the Giveaway: This giveaway begins on 12/18 at 12:01am and ends on 1/1 at 11:59pm (times are EST) and is open to US Residents ages 18+. Please refer to the full terms and conditions in the Rafflecopter. The Prize: THREE lucky winners will receive a bottle of OraMD. Disclosure: I received the products mentioned above in exchange for an honest review. Regardless, I only recommend products I feel would benefit my readers. I received no additional compensation for this publication. My opinions are my own and may be different than yours. Pea of Sweetness is not responsible for shipment of the prize. By using OraMD, with its almond oil you’ll be allowing your mouth to have the bacteria control you need for your mouth to heal itself. 🙂 and this product is made of 3 oils!thank u! I like that it comes with a satifacation gaurntee!